Slate blue, tiny grains of edible sand that breathe a mild, sweetish aroma to baked goods- such as lemon poppy seed shortbread- poppy seeds are a perfect addition to any confection in search of a kick or visual accessory. 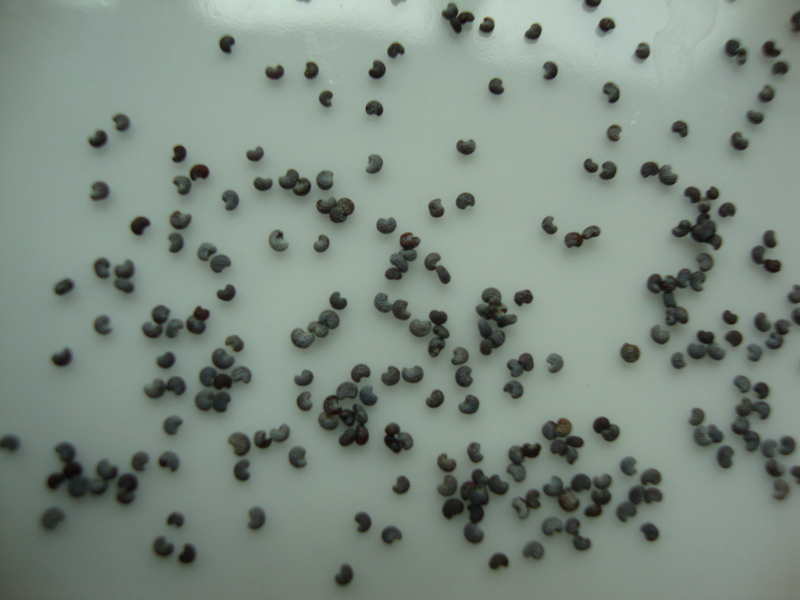 The most commonly used variety of the poppy seed, for culinary purposes, is the Blue Poppy Seed, which does not contain any of the narcotic, psychedelic effects of its native Middle Eastern sibling, the opium poppy. 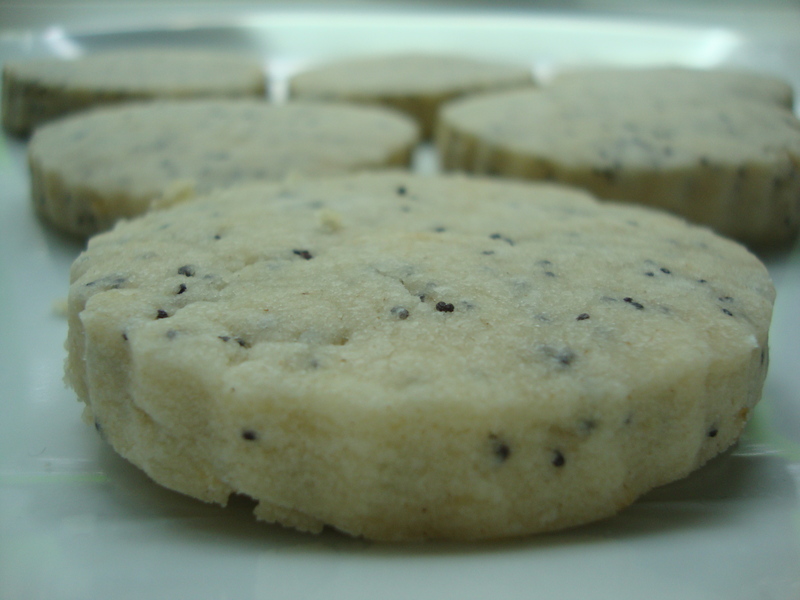 No need to worry about passing a drug test after eating these lemon poppy shortbread. Lemon is yin to poppy’s yang- a clean aromatic scent. The soft citrus of lemon zest amplifies the sweet and spicy undertones of the poppy seed. 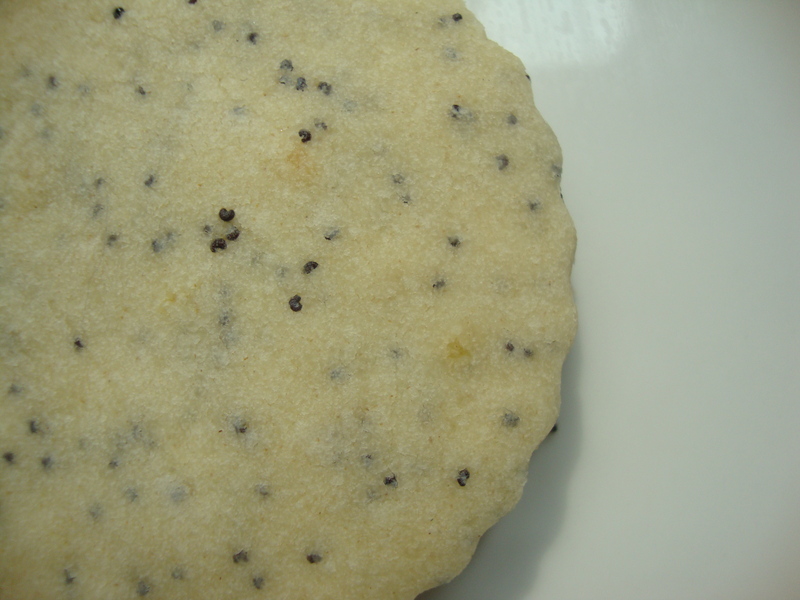 Additionally, the subdued yellow hue of the zest heightens the the speckled blue of the poppy seed, giving the shortbread a chipper freckled face. Drink with a a steaming cup of Earl Grey tea. Beat butter and sugar with an electric mixer until combined into a smooth cream. Incorporate lemon juice, zest and vanilla and beat in until smooth. In a separate bowl, combine flour, poppy seeds and salt. Add dry ingredients to creamed butter mixture. Combine ingredients and form into a disk. Wrap in plastic wrapping and let chill 3 hours. If the dough chills too long, it may get hard as a rock, and so you may have to let the dough thaw out before rolling. Preheat oven to 300 degrees F ( if using a convection oven, preheat to 275 degrees or 280 degrees). With a rolling pin ( or empty wine bottle as I do when there is no pin available) roll out dough between 2 sheets of wax or parchment paper about 1/4 to 1/2 inch thick. ( I prefer thicker shortbread, the kind I can sink my teeth in to, to thin crisp shortbread, but 1/8 of an inch thick will do as well). Cut out shortbread with a cookie cutter or shape into squares with a knife. Lay out 1 inch apart on a greased cookie sheet and bake for 23-25 minutes, or until lightly golden. If using a convection oven, bake for 18-20 minutes. Transfer shortbread from cookie sheet to wire wrack to cool.